"one's social diary has to take precedence over distance." ©2019 the mighty dave t, is a prendas sponsored rider and le patron of the thoroughly decent fellows. as i am now off to northern parts of scotland in search of the loch ness monster, there will be no posts until tuesday at the earliest. i need the extra day to recover from jet lag. i have every faith that you'll find something else more interesting to do instead. i mentioned a few days past, my visit to the local secondary school to address a group of pupils undertaking a relatively short cycle from the islay ferry to arran's small ferry to lochranza. i won't bore you with the details again, but my opening gambit was to enquire just how many of those i was about to address actually owned a bicycle. the show of hands led me to reverse my interlocution and ask how many did not own a bicycle, to which only one half-hearted hand was raised. the group's size was probably around twenty pupils and i confess that this knowledge came as something of a surprise. i have been riding round islay for well over 30 years and the number of junior cyclists on the road has not varied one iota, so far as i can see. granted, there are always small kids on scooters and little bikes, but when it comes to the teenage generations, you could count the numbers on one finger. that fact alone pretty much explains why the sunday morning peloton consists of an ever-ageing bunch of velocipedinists, with a youth recruitment programme that remains pretty much steady at zero. in my early years on the isle, i would organise easter bunny hops, a red nose day stonk around the runway and several other cycling activities that were rarely oversubscribed and ultimately faded into nothingness. but unless parents put some time and effort into encouraging cycling activity with their own kids and their peers, all the commuting strategies in the world won't crack the cllimate change problem. 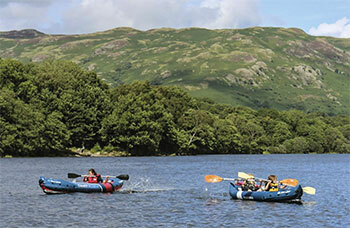 while this need not be location-specific, somewhere fun for a family holiday would make for a good start. this is precisely where the first in cicerone's new series 'outdoor adventures with children' is likely to score well on the satisfaction scale. 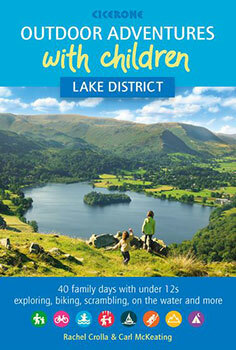 authors rachel crolla and carl mckeating have started with the lake district, a highly attractive region of the uk, sporting a decent spread of offroad bike rides, along with water and walking activities that ought best complement the cycling. while the post generally concerns itself with the road-going end of the cycling world, it's hard to argue against using gravel and dirt tracks for young apprentice cyclists, to guard against an increased level of motorised traffic, particularly around specific holiday regions. the authors are to be roundly congratulated for not presenting the act of cycling with children as being a parent's ultimate goal in life, something that will be every bit as simple as making peanut butter sandwiches. 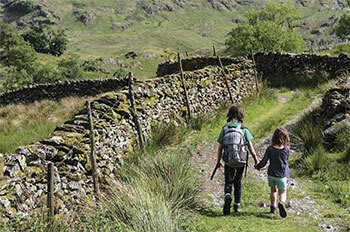 "There's no getting away from the fact that cycling with children can be a faff." thankfully, they haven't left the keen reader with that as their endgame, moving on to explain how best to accommodate the needs and aspirations of the next tao geoghan hart, or lizzie deignan. though the more draconian of cycling inflected parents may scoff at the velocipedinal dilution espoused by including other outdoor activities, the authors have obviously realised that kids often get bored quickly and a handy and immediate alternative is always a good call. for instance, as suggested within the book's well-illustrated pages, the carrot on the stick might be a boat trip or swim in a lake at the end of an offroad ride. deception and encouragement often go hand in hand. this compact and bijou publication contains a total of forty adventures, all categorised not only at the top of the chapter pages, but in an easily accessible list at the front of the book. 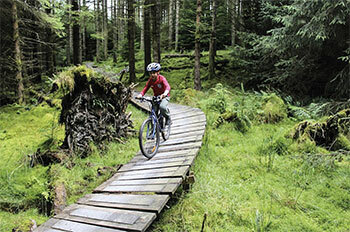 this is further divided into lists of each specific activity in appendix a, before the various other appendices at the rear of the publication, list attractions and playgrounds, cycle and boat hire and activity providers. 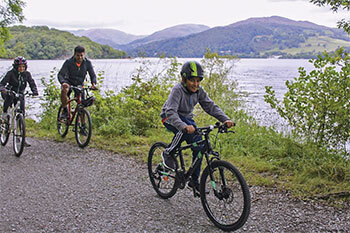 for those parents looking for brownie points as a deflection from the amount of time they spend riding when at home, an active holiday in the lake district might be just what her/him indoors ordered. typecasting is something that i believe actors are generally keen to avoid. yes, there are, of course, those who appear to have the knack of avoiding such an imposition upon their professional careers. harrison ford, for instance, has been both indiana jones and han solo, yet is every bit as believable as decker in blade runner and other non-science fiction movies, such as clear and present danger and patriot games. there are others who have fared less well; gary burghoff starred as radar o'reilly in the tv series m.a.s.h., and figured he'd reached the stage where he deserved a show of his own. next time you meet him, ask for his definition of crashed and burned. in the considerably less dramatic world we all inhabit each and every day, we're guilty of a smidgeon of typecasting all of our very own. a fellow who lives but a few metres distant from the croft, is a keen runner, and forever entering marathons, half-marathons and fun runs. when he's not at work, it is unusual not to see him clad in a bright yellow jacket and shorts, running along the high road, training for one event or another. thus, on meeting him on bowmore main street yesterday, particularly given the particularly clement weather, i expressed my surprise that he was not out and about in running shoes. yet, i could easily have been mistaken; my assumption could have been well wide of the mark. for all i knew, he may have briefly stopped mid-run, or been simply contemplating the beginning of his bout of training. of course, i wasn't wrong and the reason i knew, was not only his demeanour, but his mode of dress: jeans and a t-shirt. in all the time i have known this gent, i have never once seen him dressed in this manner just prior to or in the midst of, a training run. of course, i myself have frequently been the subject of typecasting. particularly when the weather is fine, i am besieged (slight exaggeration) by well-wishers enquiring whether i am about to go cycling, if i have already been for a bike ride, or most commonly, why am i not cycling? my daily apparel seems not to offer any kind of a clue, which is, in and of itself, a very good thing. despite stepping forth from the croft of a sunday morning, dressed like a refugee from the peloton, i wholeheartedly agree with those who claim that cycling should not demand a change of clothing. admittedly, much of what i wear on a daily basis was originally designed to ease any potential discomfort from riding a bike in civvies, such as jeans, hoodies, jackets etc. i have many iterations of the foregoing that would allow freedom of movement and weather protection on the bike, yet would not look out of place when meeting with my local member of the scottish parliament. and while i feel it may be a tad too colloquial for an engagement such as the aforementioned, endura's humvee shacket is just such a garment. though i do have a few misgivings about the name, i bear none whatsoever regarding its relaxed style and practicality. the name, shacket, offers up a clue as to its mode of employ as a reversible item of velocipedinal clothing. for the more formal affair, or simply because you are of a less than ostentatious nature, one side offers a subdued shade of blue, backed by a somewhat louder, yet perfectly on trend, red lumberjack style shirt. the latter offers only an outward breast pocket for carriage, while the more subtle side of the humvee features two, zippable hand pockets. naturally enough, these can be employed as internal pockets when displaying your more rugged side. rather than a front zip to keep the elements at bay, fastening is achieved by a series of poppers, ending in a stylishly high collar. the cuffs, too, are poppered. with record temperatures recorded even in the north of scotland, the humvee shacket might just be a tad on the warm side at present, for between the two colour choices exists a lightweight thermal filling, a factor, however, that you may find very welcome on a cool evening's return from the office. endura's humvee range is expressly designed for the intrepid commuter who fancies feeling comfortable on the bicycle, yet won't be mistaken for alejandro valverde by the staff at pizza hut. 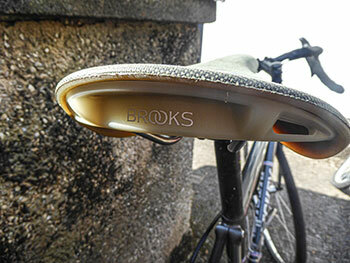 the latter function it accomplishes with both practicality and what i feel compelled to describe as 'street style'. though i've not had the medium sized review sample for too long, it does appear to be of the sturdy construction likely to be demanded by a bona-fide lumberjack, despite not having worn it in a real forest. however, i have placed myself in a couple of situations with the blue side on outward display and not once did anyone make enquiries as to any velocipedinal intentions i may have harboured at the time. its cosy baggyness is comfortingly reminiscent of that pair of slippers of which you were once reticent to dispose; the fact that its mild duvet feeling can accompany you home on the bike is just one of life's little bonuses. that counts as a result, in my book. endura's humvee shacket (i really would advise a change of name) is available in sizes from small to xxl at a retail cost of £89.99. it is also available in anthracite with a greenier sort of lumberjack opposite number. st columba is a figure with an intrinsic religious connection to the hebrides, particularly those with which islay geographically associates itself: colonsay, mull and iona to the north. port ellen village features a church hall, long known as the st. columba hall, while the local gaelic centre just outside bowmore village, bears the gaelic rendition, framed as ionad chaluim chille ile. as far as i can ascertain, st columba travelled across the sea from northern ireland to islay and beyond, in a mission to spread christianity to the heathen picts. at kildalton chapel, a few kilometres past ardbeg distillery, stands what is reputed to be the finest example of a celtic high cross, still in situ. allegedly it was carved and installed by columba's entourage of monks. the saint, however, refused to remain satisfied with carrying his mission to the isles, scurrying further to the north and east amongst the picts, having apparently reached the shores of loch ness. according to adomnán's manuscript the life of st. columba, in 565, st. columba came across residents of the shores of the loch, burying a man who was said to have been mauled by a 'water beast' and dragged underwater. columba sent one of his followers to swim across the river, a man who was subsequently approached by this selfsame beast. in order to protect him from a similar fate to that of the dead man, columba made the sign of the cross and bid the beast leave his follower alone and return to the depths of the loch. this incident is reputedly the first recorded sighting of the mythical loch ness monster. though history is littered with references to hideous monsters, this specific reference to one that inhabited the river ness and loch ness, gained historic traction, due in part to the significance of the water beast in celtic folklore. modernity took the monster to its heart in july of 1933, when mr and mrs george spicer witnessed 'a most extraordinary form of animal' crossing the road in front of their motor car. the legend was further enhanced by a photograph taken by hugh gray later that same year. though slightly blurred, the image allegedly depicts the head of the monster; more likely, however, is that it shows mr gray's dog fetching a stick from the waters of loch ness. however, despite the encroachment of scientific and historical fact, intent on disproving the existence of sea monsters such as the kraaken, giant squid and others said to inhabit the depths, there is an intangible, romantic attachment to the possibility that such beasts may actually exist to this day and despite our allegedly more learned and cynical ways, i'm willing to bet that many of those passing along the shores of loch ness, still hope to catch a glimpse of 'nessie' as they head to or from inverness. i consider myself well-educated and thus not subject to unwarranted belief in mythical beings such as that swimming in the depths of scotland's largest scottish loch. if you combined all the lakes of england and wales and emptied them into loch ness, they still wouldn't fill it to the brim, so there's plenty of water in which a self-respecting sea monster might conceal itself. 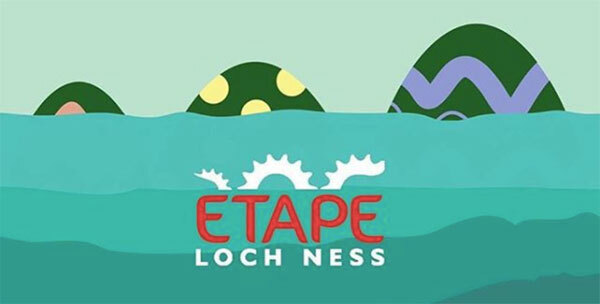 on this coming sunday, assuming i can spare sufficient effort and spatial awareness, i too will be scanning the surface of loch ness in the hope that sighting of the monster will make suitable reparation for more than likely finishing as lanterne rouge in the 2019 etape loch ness, a sportive which i intend to ride for the first time. while i fervently hope not to hinder the progress of those more intent on recording a personal best at the finish outside eden court theatre, if there are any roadside supporters with an ounce of decency about their person, i'm more than willing to accede to the occasional push. particularly if that push happens to coincide with an oppressive ascent. having said that, with a start time given as 06:29 on sunday morning (28 april), i would have grave doubts over there being many would-be pushers stood by the roadside. 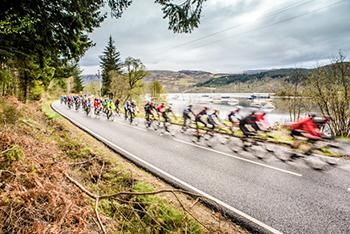 i know of many cyclists who plan an entire season's worth of sportive rides, stretching from late april, such as is the case with the etape loch ness, through to the autumnal months of the year. however, having led a sheltered velocipedinal life, for the most part, for me this is very much the exception rather than the rule. if you'll pardon the trite comment, it promises to be a monster of a weekend. but sighting or not, sometime next week, i'll let you know how i got on. 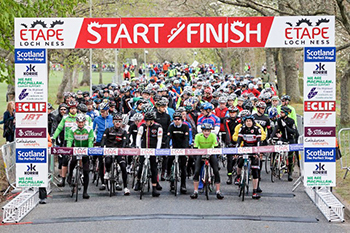 if you too are riding the etape, any and all shouts of encouragement will be most gratefully welcomed. every alternate saturday morning, i need arise at 07:10 in order to distribute copies of the local newspaper, not only to bowmore's local shops, but via royal mail van to the rest of the island. it's only a matter of ten minutes earlier than i arise the rest of the week, but for unknown reasons, it feels like hours. and true to the inherent meaning of sod's law, if i'm going to have any gigs to play in one of the local hostelries, you can bet your sweet bippy that they will coincide with my distribution duties. thus, making it home in the early hours of saturday morning after completing my onerous percussive ministrations, makes that (relatively) early start, seem an even greater hardship than i've already made it sound. time and energy lost in this fashion tends to have a cumulative effect. the majority of gigs tend to be held over two nights, so early on sunday morning, there is the additional obligation to dismantle and pack away my drumset before heading wearily homewards. as we all well know, sunday morning is bike ride morning, a compulsory activity that varies not in its start time, even as i attempt to wipe the sleep from my eyes. instances such as the above, which mercifully tend only to occur around four times per year, will usually draw forth pathetic attempts by yours truly to gain the sympathy vote, claiming severe lethargy, not to wait for me if i drop-off the back of the peloton and occasional pleading for a shorter route than usual. none of this compares with the trash talk that has become almost an integral part of the professional peloton. far from wishing to lull my compatriots into a false sense of security, there's every likelihood that i will tail off the back and need a tad more than a mug of froth and a caramel biscuit at debbie's, to recover. i'd hate for you to think that i'm guilty of laying it on a bit thick, but on my return to a reviving repast lovingly prepared by mrs washingmachinepost, there is yet the undesired task of collecting the drumset from its overnight repose. don't tell me it's not a hard life. but my earlier reference to trash talk has not arrived inadvertently, for on the cover of the latest issue of rouleur magazine, one which features an extensive interview with simon yates, the latter appears to be either setting himself up for an embarrassing fall, or simply advising his fellow pelotoneers that he will not be hanging around waiting for their company, during the upcoming grand tours. the quote which appears on the cover is worded thus "my rivals should be scared". rather obviously, there is a certain amount of rhetoric involved in that statement; simon yates does not strike me as a scary sort of chap, so i find it hard to believe that his peers will be diving into their team buses, rather than engage him in frightening conversation. peter sagan has been known to use this sort of tactic, but in a more negative fashion, claiming, more than once, to be performing at considerably less than his best and should, therefore, not be expected to be in the mix, come the flamme rouge. of course, sometimes, like paris-roubaix and amstel gold, for instance, he obviously wasn't kidding. however, after one of the most spectacular sprints seen in contemporary road racing, i seriously doubt anyone is going to believe any negative words of trash talk from matthieu van der poel. don't you just love this sport? i'm old enough to remember the days when channel four began broadcasting half hour highlights from the tour de france. 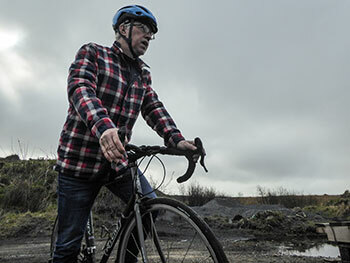 it was the era of my being a complete cycling newbie, despite having spent pretty much all of my teenage years riding my (less than sporting) bicycle. my naiveté had extended as far as having not realised that those cyclists who passed on the other carriageway as i headed to work on sunday mornings, were a small part of the competitive milieu. unlike keanu reeves in the matrix, there were all sorts of velocipedinal happenings of which i remained blissfully unaware, and that included just what the tour de france entailed in terms of athletic prowess. robert millar (as was) inadvertently introduced many a scotsman to the competitive realm, having won the king of the mountains jersey in 1984. both of us were born in glasgow, the only thing which, other than a ponytail, we had in common. but, innocent to the last, i figured that if the diminutive scotsman could ascend hills (first mistake) that quickly and apparently, that easily, well how hard could it be? after an abortive attempt to climb dundonald hill near troon, i discovered precisely how hard it could be. many of my peer group in both my teens and early twenties were at least partially obsessed with motor cars, painting go-faster stripes in the centre of the roof and applying stp decals to the bootlid. the logical extension of this was remaining indoors every sunday on which a grand-prix took place; there may be many of them who are still attached to such a regime. 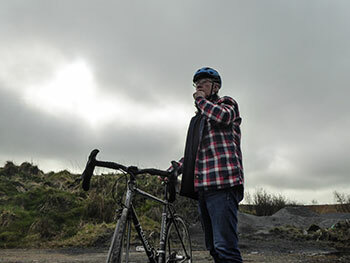 disappointingly, on discovering cycle road racing, there was precious little in the way of television coverage until channel four happened upon le grand boucle, after which it wasn't too much of a stretch to learn of the other two grand tours that filled out the season, neither of which troubled the tellybox. of course, like many activities with multiple strings to their bows, the more you know, the more you know you don't know. and the more that seems to make less than perfect sense. for instance, why motor racing crowns a world champion at the end of each season, but cycling's world champ is the result of a one-day race in which not all the top contenders participate. for the self-confessed newbie, that bore about as much logic as north america claiming to feature a world baseball series in which only american teams took part. if the guys who won the tour de france, the giro and the vuelta were absent from the world championship road race, how could the eventual victor be declared world champion? there was even the possibility (though unlikely) that said champion might not have participated in any of the above three. the only conclusion that could be derived from the above was that either the system was broken, or i was. to a certain extent, that seems to be the jumping-off point from which rapha's recently announced 'road map' commences. having posted their first instalment on 15 april, part one proclaims "To fix a problem, you first have to understand it. The first instalment of the Rapha Roadmap takes a look at cycling's unique appeal and sets the scene for its future." a laudable aim, no doubt and given their experience in the upper regions of the professional sport, one that they are arguably better placed than many others to undertake. or are they? professional cycling follows the model of almost every other professional sport in the world, by fealty to a governing body. in this case, that is the unione cycliste international or uci, based in aigle, switzerland. in common with many other governing bodies, it is often the recipient of unbridled criticism, some of it justified, some not. this is where i must, once again, profess confusion, for surely any alterations to cycling's calendar could only originate from switzerland and definitely not from tileyard road, near kings cross station? in the road map's opening paragraphs, rapha also reiterate the stance that has been theirs since day one: "The company believes cycling can and should be the most popular sport in the world and has worked since 2004 to demonstrate its commitment to the activity, inspiring participation and loyalty around the world. ", while many of us would concur, it's going to be something of an almost impossible uphill struggle to make cycling 'the most popular sport in the world'. in fact, i'd go so far as to say that it'll never happen. when so much of terrestrial, satellite and online television broadcasts wall-to-wall soccer matches, seven days a week at a reputed cost of £16 million per match (sky tv), the chances of that being overtaken by cycling in the foreseeable future appear slim to non-existent. at the risk of stating the glaringly obvious, soccer isn't cycle racing; the fundamentals of one football match are identical to the next. with the almost total lack of inclusivity of track racing, the mores of cyclocross and road-cycling's stage races and one-day races, there's much for the inductee to learn. how often have you been asked why the winner of a tour stage didn't get the yellow jersey and how come the eventual yellow jersey wearer managed to do so without ever winning a stage? rapha's sentiments are doubtless to be admired and probably applauded. There is one conclusion that echoes most loudly from our research, in interview after interview; professional cycling is broken." i'm not sure it's up to them to bring about the necessary changes, but i can do little else but wish them well in their endeavours. it's easter weekend, a time of year that confuses me greatly. for if christmas, ostensibly the celebration of christ's birth, lands on the same date, year in year out, why does the date of easter vary each and every year? the answer to this question, to me at least, does nothing to helpfully explain the situation. if, as those easter sunday church services would have us believe, it is the time of year when christ was crucified and subsequently resurrected, then surely that happened on a specific date?, yet the easter weekend is determined as being the first sunday after the date of the full moon, on or after march 21. thus, if the full moon lands on a sunday, easter will be celebrated on the following sunday. all of which seems to have little or nothing to do with the religious aspects thereof. liturgically, easter is related to the begining of spring, despite tomorrow's amstel gold race effectively bringing the spring classics to an end. it is also related to the march equinox in the northern hemisphere, but in relation to the full moon, easter's date is not actually related to the astronomical date of either. and where the heck do easter eggs come into it? i'm not much one for paying attention to public holidays. granted, christmas is fine because it signals yet another undertaking of the festive 500, but other than that, i'm quite happy to work when there's work to be done, irrespective of bank or public holidays. however, earlier this week, it was pointed out to me that the office would close for so-called good friday; if i went to work, i'd be pretty much on my own all day, which didn't really sound like a lot of fun. so, rather than gain an unwarranted reputation as a workaholic, i thought it best to appear simultaneously prudent and lackadaisical and let the bicycle take me where it would. the more eagle-eyed amongst you will have perhaps noticed that ardbeg distillery has received scant mention over the preceding months, a fact that i thought it best to remedy on the morning of my easter holiday. so, on a bright, sunny friday morning, i boarded the ritchey logic, and ploughed into a niggling headwind for the 22km ride to the ancestral home. 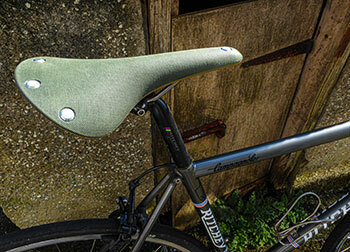 it is salient to the ultimate point of this monologue, that the ritchey had been recently fitted with the latest cambium c17 saddle from brooks, a model that adopts the finest points of the range, namely an organic cotton top over a gum rubber base, but lightens the mood (so to speak), by replacing the more usual metal base with a material brooks refer to as liquid wood. this initially conjures up visions of a substance likely to drip all over the top tube, but oddly enough, is neither liquid, nor wood. actually, that statement isn't entirely correct, because according to the saddle makers, liquid wood is a biopolymer composed entirely of waste materials from paper production, itself a material originated from wood-pulp. rather brilliantly, it's entirely biodegradable and lighter than the metal structure it replaces. i confess i am not one of those cyclists who quests after a reduction in weight for its own sake, but if lightness of being arrives as a non-optional extra, what's not to like? though my round trip, with a brief stopover at ardbeg, encompassed eighty, wind-strafed kilometres, i cannot tell a fib and aver that this was the first journey undertaken aboard the cambium's organic lightness. it would, however, be safe to relate that it has yet to be ridden on a day without a headwind. 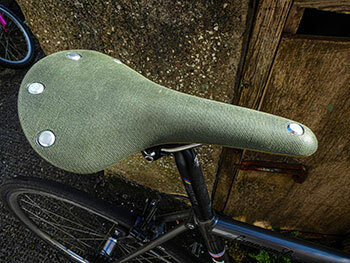 while this might hardly be the ideal conditions for a lengthy bike ride, it's situations such as these that help the intrepid reviewer to better assess the veracity of the claims made by the manufacturer as to the potential comfort of their product. but by way of an early spoiler alert, brooks are correct in their assertions. slogging into a headwind for the better part of a day's riding is usually one of the finest methods for determining the plushness of that placed under your bum. 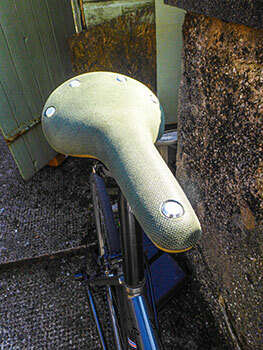 there's something about the position adopted on the bike to maximise the effort of slogging that has a tendency to poke holes in the avowed comfort of any particular saddle. 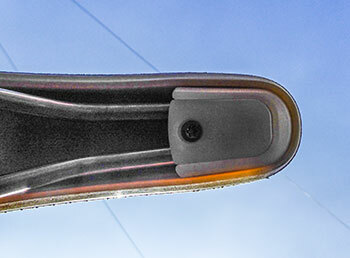 this is something that has become apparent through practical experience rather than by way of scientific theory, and in this particular case, when those 80 kilometres had been covered, the cambium light was every bit as unnoticeable (and that's a good thing) as had been the case from the off. the morning visit to ardbeg distillery also brought an unexpectedly agreeable level of satisfaction that brooks had elected to send the olive green canvas option for review. each of islay's distilleries bears its own corporate colours, from the bright blue of bruichladdich, to the cream and gold of ardnahoe and the almost emerald green of laphroaig, to the more sombre, muted green of ardbeg, one that closely resembles that of the cambium's canvas top. for those without a nearby distillery, the organic light cambium is also available in natural, brick and rust. 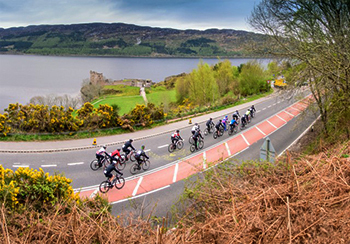 as i may have mentioned not so very long ago, i have been very kindly invited to ride the etape loch ness in just over a week's time, an event i am definitely looking forward to, even if the notion of riding alongside 5,999 other cyclists seems a bit daunting to a mere amateur such as myself. however, my island domicile is hardly a closely guarded secret, nor, perhaps is the fact that i do not own a motor car. thus, should i have had need of getting from here to inverness under my own steam, matters could have been a tad more complicated than they might seem. several years ago, i was charged by argyll and bute council to produce an information leaflet directed at cyclists visiting islay and/or jura. this has proved highly successful and was, in fact, the subject of a recent reprint. in the process of compiling this publication, i had cause to check the transportation of bicycles via both the citylink coach service to and from glasgow, as well as that of loganair from glasgow airport. 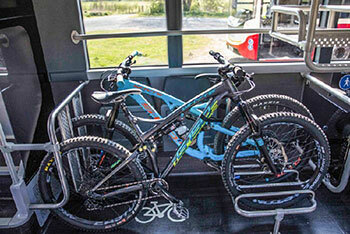 neither have any discernible prejudice against cyclists and their attendant luggage, but in both cases, bicycles are required to be suitably packed and carriage on both, is subject to the discretion of the bus driver or the aircraft operation staff. a citylink staff member told me that, if, on arrival at kennacraig with bicycle, the driver was unwilling to place it in the luggage hold, they would not be inclined to over-rule that decision. thus, my intended trip north to inverness could potentially fail at the first hurdle, leaving me on the bench outside kennacraig ferry terminal, leaning on a well-packed bicycle box. however, were i to have successfully made it to glasgow's buchanan bus station, i could conceivably have faced the same problem with the bus service to inverness. fortunately for me, a fellow member of the sunday morning peloton is also participating in the event, one that he has completed on two previous occasions, and is happy to have me accompany him in the car from islay to inverness. not only that, but the thoroughly decent chap has a bike rack capable of carrying two bicycles. i believe the world i'm looking for is 'sorted'. though neither citylink/west coast motors are deliberately attempting to thwart my velocipedinal travel plans, it is generally hard to commend britain's transport system to the intrepid, travelling cyclist. several years ago, with a folding bike on review, i elected to cycle to the bus stop in bowmore, fold the bike, board a bus bound for port ellen ferry terminal, disembark, unfold the bike and cycle back to bowmore. this subsequently caused unintended problems. having written an article for the local paper describing the gist of my trip in the hope that it might engender similar commuting thoughts for other islay residents, i then discovered that the coach operator had informed his drivers that they were no longer to carry bicycles of any description on the buses. for what reason, i know not. thankfully, a quick phone-call sorted that one out, with claims of it being the result of a misunderstanding. 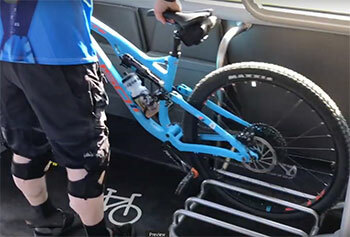 but, when it comes to carrying bicycles on public transport, there will probably always be the inherent problem of attempting to book a through passage on, for example, a southbound train with accompanying bicycle, if only because that might necessitate travelling with two or more railway companies. but i live in hope that sense might be brought to bear sooner rather than later. however, remaining on the bus, so to speak, if we can once again take me as an example, when travelling travel to visit my elderly mother, i can hop aboard a direct bus service from buchanan bus station, at a stance mere metres from one arriving from kennacraig. the singular problem here, is that said bus has no space whatsoever for a bicycle. 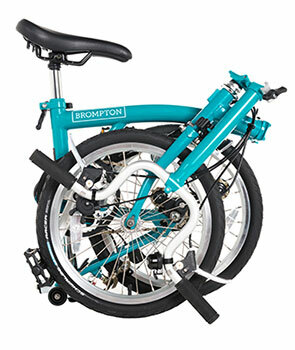 you might even struggle with a brompton. however, all, it seems, is not lost. for only a matter of days ago, borders buses announced the introduction of three new coaches on the x62 service between peebles and edinburgh, with designed spaces for two bicycles inside. two additional inside bike-bays are expected to be added by the end of the month. the coaches, built by dennis coachbuilders, cost £275,000 each and, according to the borders buses operations manager, could ultimately take up to 76 cars off the road. they're aware that there is a noticeable increase in the active travel market and these new coaches are their answer to changes in travel demand. considering that the coaches, externally at least, appear no different from the majority plying scotland's travel network, it shouldn't be particularly difficult for other coach operators to follow suit. on the other side of the world, even more dramatic changes are being implemented in 'train meets bike' scenario. 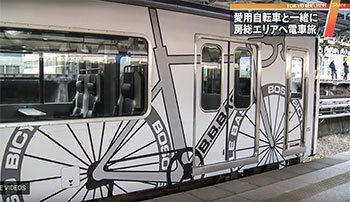 in japan, a railway company has unveiled a special train with capacity for almost 100 cyclists along with their bicycles, the latter of which can be accommodated without any necessity for folding or disassembly. 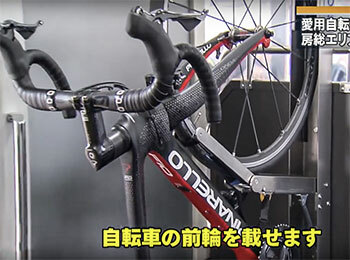 apparently, japanese commuters are regularly allowed to travel with their bicycles, but frequently these require to be folded, have the front wheel removed, or carried in bags or boxes. the new service will operate on weekends, when city cyclists in and around tokyo will likely take the opportunity to head into the wide blue yonder. the means of carrying so many bicycles closely resembles that of the light railway service in portland, oregon. riders need only lower a bracket on the partition between carriages (there are two on each), vertically insert the front wheel, before slotting the rear wheel into the lower part of the partition. the bike can then be restrained with a strap around the lower part of the down tube. 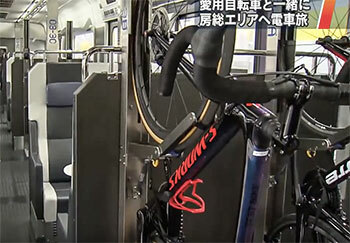 riders can then take their seats in the carriage for a comfortable journey into japan's more rural regions. a bike space must be booked at least five days in advance and a return trip costs about £41.50. it seems entirely likely that someone, somewhere in the education department of argyll and bute council, is responsible for the planning of school holidays throughout the academic year. no doubt that someone receives a healthy recompense for their labours, but in the light of the easter holiday regime inflicted upon our local schools, there is surely some cause for reconsidering the validity of such payments? on friday 5 april, the schools took flight for two weeks of the so-called spring break, returning to academia on monday 15 april. so far, so good, but imagine the fragmentation of study on learning that they are off, once again, on both friday 19 and monday 22 april for the easter break. then consider that, with the exams looming in may, a sizeable proprtion of the pupils will be granted study-leave on monday 29 april. is that any way to prepare the next generation for real life? but, fortunately, there are frequent patches of life-skills that arise from time to time. several of the senior students will leave islay in mid-june, to undertake an expedition to the himalayas, and closer to home, third-year pupils will soon take the ferry from port ellen to kennacraig to cycle from the latter calmac port, to the considerably smaller pier at claonaig, from where they will board the small ferry to lochranza on arran. the cycling distance is a mere nine kilometres, but the first two and a half of those ascend a 14% gradient. to you and me that would either be a perfectly acceptable challenge, or scarcely worth thinking about unless the bicycle were laden with filled panniers. 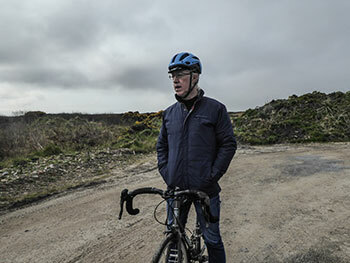 however, if you recall some of my more recent articles on the post, you may already be aware that there are remarkably few cyclists on islay, an affliction that affects both young and old. many of those undertaking this short, sharp, steep step, will quite likely not have cycled since they received their first bicycle for christmas, some considerable number of years past. of course, they will hardly be cast asunder, required to self-sufficiently reach their final port of departure; there will be teaching staff following their every pedal stroke from the safety of a yellow school bus, replete with the knowledge that they too are scarcely practised in the art of the velocipede. however, should a pupil suffer a mechanical or physical malfeasance, it will be a simple matter of loading them into the bus and couriering them to their destination. when this selfsame trip took place last year, calmac had, for technical reasons, shifted the ferry from claonaig to tarbert, a good few miles to the north, necessitating a few extra kilometres of pedalling. that probably failed to raise a laugh. unfortunately, if last year's expedition is anything to go by, on their return, pretty much every bicycle will be stowed in a shed or garage and not see the light of day for a considerable while. what price education? whisky, or, to give it its traditional gaelic name, uisge beatha has allegedly been produced in scotland for a smidgeon over 500 years. within the country, there are several specific regions allocated to each: highlands, speyside, lowlands, campbeltown, islay and, lastly, islands. 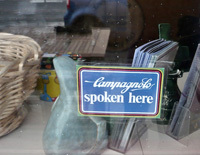 of the above, campbeltown is perhaps the odd one out, comprising as it does, a mere three distilleries. however, its classification as a whisky producing region rests upon the fact that, in the past, there were as many as thirty. islay, dare i say it, seems currently to be flavour of the month and to an extent, has been so for several years now. i moved to the island in 1987, at which time, things were looking less rosy. ardbeg, owned by laphroaig distillery, was closed, used mostly as storage by its owners. bruichladdich, owned at that point, by the proprietors of jura distillery, was also mothballed, as the terminology would dictate. production at bowmore distillery, owned by the morrison family was deliberately low on output, but it was the first of the isle's malts to offer guided tours of the distillery, having installed platforms and walkways to facilitate this entrepreneurial move. had you visited any of the others, you would most likely been met by signs advising that tours were pretty much off the menu, unless you happened to be best pals with the manager. that situation has changed drastically in the intervening thirty-something years, with every one of the currently nine islay distilleries offering guided tours to the aficionados, intrigued or just plain interested. in fact, not only has the number of tours available increased exponentially, but each and every plant has built substantial visitor centres and employed a phalanx of tour guides. both ardbeg and ardnahoe have attractive and sizeable cafés/restaurants to feed the hungry throngs. the islay whisky festival began life in 1999 and was a notably civilised affair, principally attracting the whisky cognoscenti. nowadays, much as i'd like to say such a state of affairs has been continued, i'd be guilty of stretching the truth. whisky is in danger of becoming more of a currency than a drink, with a myriad of limited edition bottlings (or expressions, as the terminology advises) being exchanged often for figures considerably higher than their purchase price. hard to believe that, at the debriefing meeting prior to the second islay whisky festival, one of the managers asked, on behalf of his employers, quite why they ought to be involved in the first place. suffice it to say, that question has never been asked for a second time. a friend at one islay distillery once told me that they sold more whisky in the visitor centre than in the whole of japan. if ever you doubted the worldwide popularity of both whisky and islay, the evidence is plain to see. at a tourism event i attended earlier this week, a visitscotland representative informed me that their recent substantial investment in the local tourism information centre was encouraged by the number of international visitors drawn by the nine distilleries, not forgetting one more on the neighbouring isle of jura. frame this against the fact that, across the country, they simultaneously closed forty other centres. 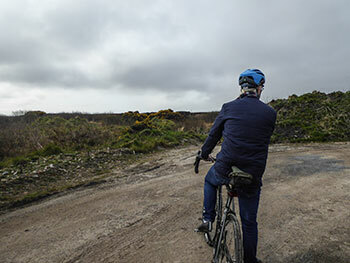 also bear in mind that islay is home to a population of only 3,200.
so where, might you ask, is the connection between single malt scotch whisky and cycling? it's a question that i am frequently asked and one that i frequently ask myself. i sort of get the match between coffee and cycling, but uisge beatha and cycling pretty much has me beat. several years past, i joined some cyclists associated with edinburgh-based scotch malt whisky society, to undertake a veritable tour de islay. i believe the jerseys designed expressly for the occasion are still available from thecyclejersey.com. this tour began at ardbeg distillery, routing through lagavulin, laphraoig, caol ila, bunnahabhain, kilchoman, bruichladdich and finally to its culmination at bowmore. 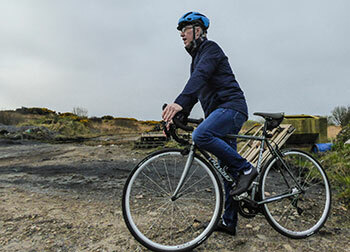 i am now reliably informed that another tour de islay will take place again this year on the opening day of the 2019 islay whisky festival. i can only presume, from this state of affairs, that the connection between cycling and whisky shows no real signs of diminishing, perhaps because selling the right bottle at the right time, could probably afford you some particularly high-quality, highly-specced carbon fibre. 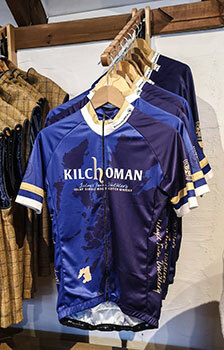 and, having touched fleetingly on the subject of cycle jerseys, the number available from islay's distilleries has just been added to by the latest, particularly attractive offering from kilchoman, situated near islay's atlantic coast, overlooking loch gorm. the intrepid velocipedinal whisky aficionado can now choose from the original ardbeg jersey, two distinct options from bruichladdich, a stylish offering from bowmore and the gold, cream and purple team colours at ardnahoe. though i doubt we'll ever see any cycling garmentage from caol ila, perhaps the above will bring peer pressure to bear upon lagavulin, laphraoig and bunnahabhain. i know that diageo's flagship islay distillery at lagavulin has had a prototype design in the works for well over a year, while laphroaig allegedly enquired of endura several years past, about producing a more attractive garment than the decidely grey item i have witnessed. bunnahabhain, sadly, is a largely unknown quantity, though i might attempt to break the ice with their marketing department in the near future. meanwhile, the islay whisky-drinking cyclist, it seems, is quite spoilt for choice, despite my being no closer to determining quite why that is. 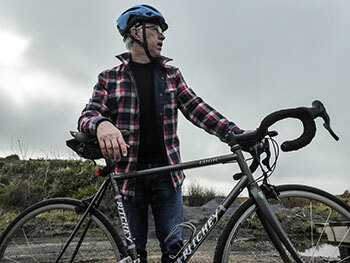 i have recently had cause, to frequently make mention of cycling in the context of the daily commute. 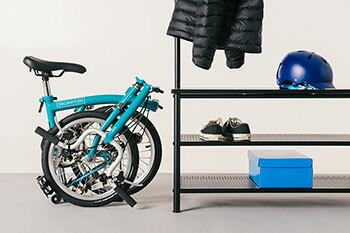 there have been a number of reasons for this frame of reference, ranging from the recently held, jacobs engineering, cycling and walking consultation on islay, endura's direct support of the environmental milieu by way of its choose life. 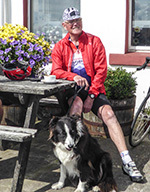 choose bike video campaign, and the more recent instance of having been on the receiving end of misplaced approbation for riding to ardnahoe distillery from bowmore. though i believe there's no need for me to declare any potential conflict of interest (for there is none), but i do think it pragmatic to point out that the island on which i live is hardly renowned for cycle commuting. granted, one of the sunday peloton does undertake a daily commute by bicycle to bruichladdich distillery, but you would be hard pressed to fill a notebook with lists of individuals seen cycling to the shops, to school or to work, were you to site yourself on the steps of bowmore's round church, on any weekday you care to mention. embarrassingly enough, i am not even a cycle commuter myself (unless you count those recent trips to ardnahoe). judging by the number of individuals this side of a calmac ferry journey who seem happy to shell out the avowed £388 monthly average cost of car ownership (motoring research), it is scarcely expenditure that is the prohibiting factor, preventing islanders from leaving the car at home and riding a bicycle to work. there are obviously those who have a substantial distance to travel; the printer at the local newspaper lives some twenty plus miles from bowmore. given the prevailing weather, i think it would be somewhat optimistic and downright impudent to expect her to ride a 40 mile commute, five days a week. but, every bit as much as in mainland urban and city locations, there are dozens who live and work in the same village, yet who drive a matter of a few hundred metres to leave the car parked for the majority of the working day. i've visited glasgow, edinburgh and london, all, admittedly, home to a great many more people than on islay, where it is pleasingly obvious that there is an impressive number who have chosen to ride bicycles to work. while that in itself makes an excellent point, there is always room for many more. a recent short movie from holland demonstrated just how many bicycles could conveniently be parked in the same space as a motor car. were that to become the norm rather than the (staged) exception, the path to success would be ours to brag about. 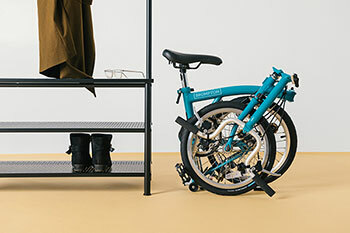 so, when britain's principal folding bike manufacturer brings to market a new relatively low-cost model and offers it to potential commuters for less than £32 per month, i think it's something well worth mentioning, even if very few of those car drivers are likely to read all about it here (that's your job; tell every car commuter you know). and depending on the amount of deposit you choose, that monthly price of ownership could be dramatically less. 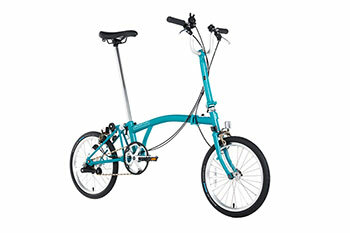 for instance, hand brompton ten fivers plus £2.15 at point of purchase and the monthly payments drop to under £29. stretch to £104.30 and you'll only have to hand over £26.70 for those 24 months. to place this in some sort of (london-centric) perspective, opt for no deposit and the monthly cost compares well to the price of a £158 travelcard, £42 gym membership (coincidentally, exactly the same cost as a ten session pass at bowmore's mactaggart leisure centre), £34 for six craft pints, or £36 for three pizzas via deliveroo. (feel free to substitute your own regional variations.) according to brompton, the process of gaining approval for finance takes mere seconds; the only possible fly in the ointment is that part three of the equation states collect in store. 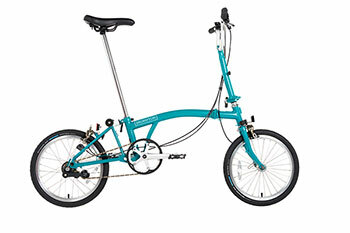 for yours truly and many others, a trip to collect a b75 from the nearest brompton stockist, might meaning taking a few days off work and incurring costs of up to a third the price of the bike. however, i'm sure arrangements amenable to both parties could be agreed. though frequent and varied is the rhetoric, attempting to persuade the great unwashed to ditch the car in favour of the bike, financial pragmatism such as this is more than just highly commendable, it's positively enterprising. don't deny it; you're tempted. 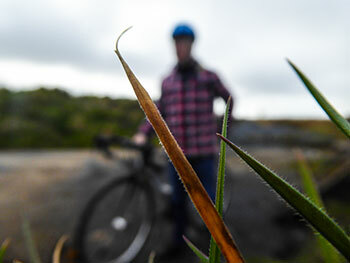 quick mention for those intending to visit islay's shores on a bike during the summer. velo club d'ardbeg recommended coffee/tea stops - in no particular order. club headquarters at the old kiln cafe, ardbeg distillery. excellent food as well as designer coffees with froth. the single malt is apparently just ginger peachy. open monday to saturday from easter to september, seven days from june to september. opened in april 2019, ardnahoe distillery features a particularly expansive visitor centre, with superb views over the sound of islay and the paps of jura. on a clear day you can see north to colonsay and mull. ostensibly open seven days with a particularly attractive menu in the illicit still restaurant and café and an espresso to be proud of. for single malt aficionados, it's unlikely there will be any homegrown product available for several years yet. bruichladdich mini market (debbie's cafe), a few hundred yards from the distillery. highly commended designer coffees with outside tables. we like. open all year round with a cycling wall in the coffee corner. and recently opened in islay house square, bridgend in the islay studios photo gallery, a fine selection of designer coffees are now available while you admire the surrounding imagery. as always, if you have any comments, please feel free to e-mail and thanks for reading. who the heck are jardine lloyd thompson? was this the greatest product launch ever? this is cambridge omloop l/s jersey, mesh baselayer, thermal bibshortsm kneewarmers and socks. campagnolo potenza; how's it doing? ritchey wcs ergomax alloy handlebar, wcs c220 84d stem and wcs pavé bar tape. goodyear eagle tubeles 700 x 30c tyres. specialized turbo tubeless tyres 700x28c. specialized roval 64mm tubeless-ready disc compatible carbon wheels. a question of balance. a collection of 24 postcards by jean jacques sempe. le grand pelerinage - histoire d'une passion cyclomythique. jack fournier & bruno moreau. cycling for health and fitness (revised and updated edition). ed pavelka. the six day bicycle races - america's jazz-age sport. peter joffre nye.